I am having a difficult time identifying a high voltage, ceramic capacitor that I need to replace. I've tried at length to research this myself to no avail. I am hoping that someone out there can help me with this. Apart from the first line on the capacitor which I am reading as 220pF ±10%, I don't know how to interpret the rest. I cannot find a meaning for the symbol at the bottom that is a half circle with a bowtie in the middle of it and what does the tilde mean in this context? Cannot determine the voltage etc Thanks! This is marked '221K' which commonly means 220 pF,10% tolerance, in an EIA standard marking. The '250~' indicates that it is rated for 250VAC. Beyond that, the 'X1Y1' string probably indicates that this component is safety-rated for direct line connection (and would be considered a safety-critical component). The color and the lower string probably indicate the manufacturer and possibly even the factory of origin. Not the answer you're looking for? 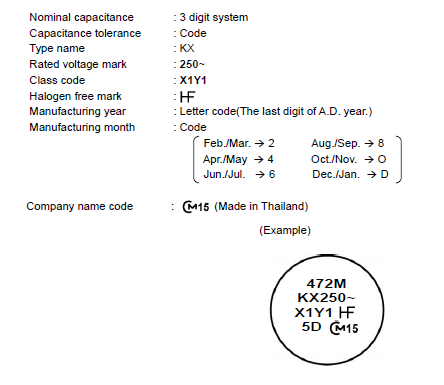 Browse other questions tagged capacitor identification ceramic or ask your own question. 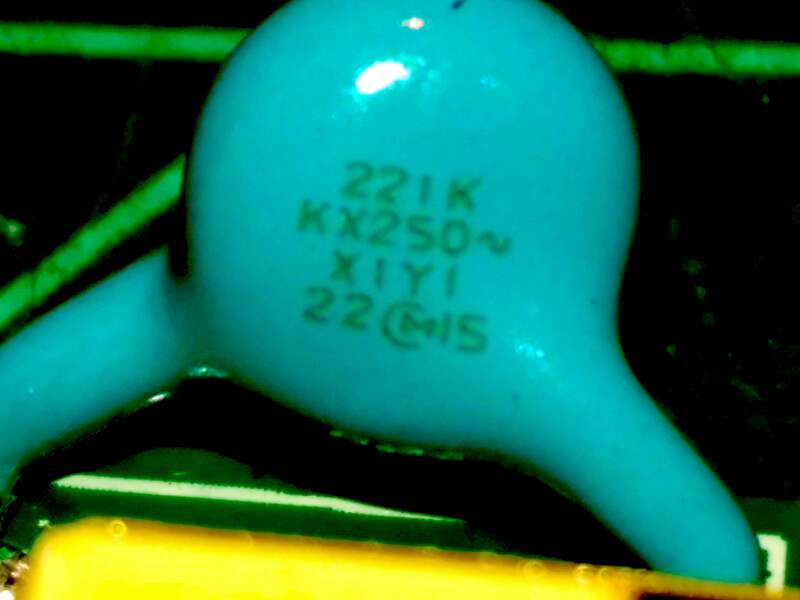 What ceramic capacitor is this?